At Matrix Software in Nijmegen, people never stop thinking about it innovation arrives. To help the window manufacturer in the optimizing production processes, there are continuous developments done ensuring more efficiency, saving time and money and that contribute to delivering high-quality work. 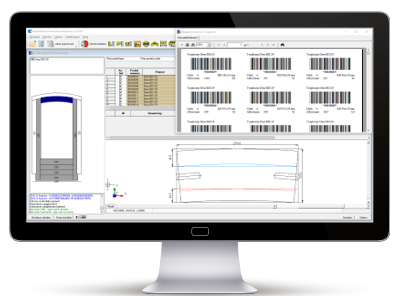 Matrix Software is the specialist in the field of building technology automation. 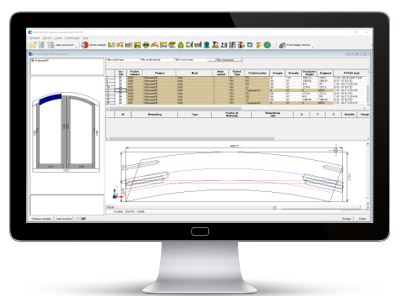 Hans Storms, branch manager of the frame industry tells about their latest development, which is currently in the test phase: "MatrixKozijn now also supports the manufacture of round and arched window frames. 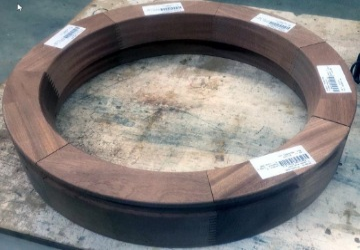 For the window frame manufacturer a whole step, since it is precisely the making round and arched window frames so far was very laborious in the pre-production phase. Many manual measurement and calculation and manual setting up the machines. We solve that problem once and for all." "It works very simply, and there is now an option in MatrixKozijn round and arched window frames. Is one satisfied with the drawing, then it is forwarded to MatrixKozijn CNC. There it is heavy calculation takes place. The software determines the segmentation of it regarding frame and shows a preview of the final product. One can go on to adjust that moment by changing the segmentation, with more or fewer segments. Is that part satisfactorily gone through, then the software determines the run-in for the profiling and the contra jigs determined. The final stage is that MatrixKozijn CNC is the machine controls." 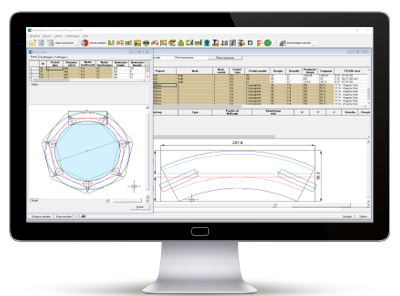 Because of the complex production process of round and arched window frames and the differences that exist between the brands of machines, it is necessary to match the software to the machine in question. Storms: "The tests that we now carry out are done on the WindowMaster and the Conturex, made available by the companies Bos and De Groot. The next machines to come are those of Biesse and Saomad. We expect to complete the tests against the construction industry finish with the first two machines. The results that are now being achieved, are promising." The entire production process for round and arched window frames was a threshold for many window companies. Much manual and time-consuming work, lots of testing and then a trial & amp; error trajectory to arrive at a suitable end product. "With our new software, everything goes smoothly, simply and quickly, and through digitization of the entire process, where not only the frame, but also all rotating parts are produced in this way, we hope to remove barriers from the window manufacturers. the piece of visualization is important, you can see exactly what is happening ", says Storms in conclusion.